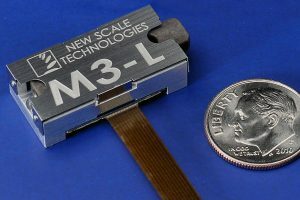 ALIO has introduced its new µII (micro II) product line to compete in the lower cost, lower precision micron (µm) world. 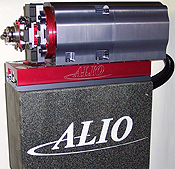 Demands for low cost, mid-precision, reliable long travel stages influenced ALIO decision as well as our loyal customer base to move into this market. As with all ALIO products, this line was designed using ALIO’s uncompromising standards of “quality first” thus providing the customer with long term reliable operation. These easily configurable stages can be used as a single axis, stacked in XY orientations or complete gantry operation. ALIO’s controls platforms are easily set up to handle the complex motion requirements for rigid gantry motion. The µII recirculating ball rail bearing stage line comes standard in sizes of 100mm up to 1 meter thus providing the end user a solution for many applications. The product family of micron precision stages from 100 mm travels to 1 meter travel standard. OEM products will be considered as well as private labeling for companies wanting to have their name on the products in their system. piezosystem jena is a world leading company in the development, design and engineering of piezo, piezo electrical actuator based positioning systems for micro- and nanopositioning and nano-automation. In addition to the positioning stages the company also offers optical fiber switches as well as the fitting electronics. The vast experience in developing and manufacturing of nanopositioning systems, which can be also be called piezo motor, enables to provide special systems and also OEM manufacturing. The piezo actuators and positioning stages are characterized by an unique precision in the range of nanometer, generate forces of serveral thousand Newton and realize precise positionings in micro seconds. Thorlabs offer a wide range of DC motor, stepper motor, and piezo and manual adjusters for their extensive collection of stages and mounts. 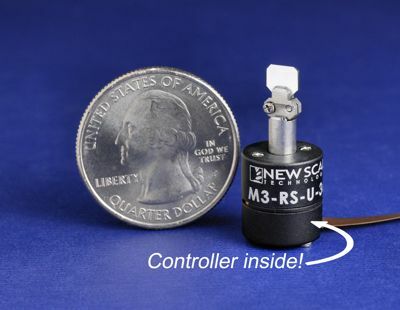 The New Scale Technologies M3-L Micro Linear Actuator is a miniature high-resolution positioning system. 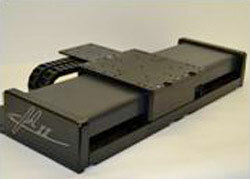 It is a “smart” actuator with integrated driver and closed-loop controller inside the actuator. 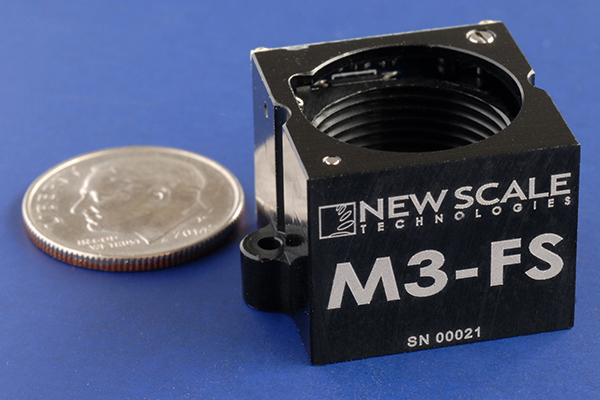 New Scale Technologies M3-FS focus modules add high-resolution lens motion, with excellent dynamic stability, to the smallest embedded optical systems in handheld and portable instruments. Each module is a complete closed-loop motion solution – including embedded controller – and requires no more space than a typical fixed lens mount. Very low power is needed to move the lens and zero power is needed to hold the lens in any position, making the M3-FS ideal for battery-powered devices. M3-RS-U Rotary Smart Stage: Rotary micro stage with built-in closed-loop controller is the easy, all-in-on solution for embedded micro motion. New Scale rotary micro stages and positioning modules feature our patented piezoelectric motors along with integrated position sensors, bearings, drive electronics and embedded firmware.